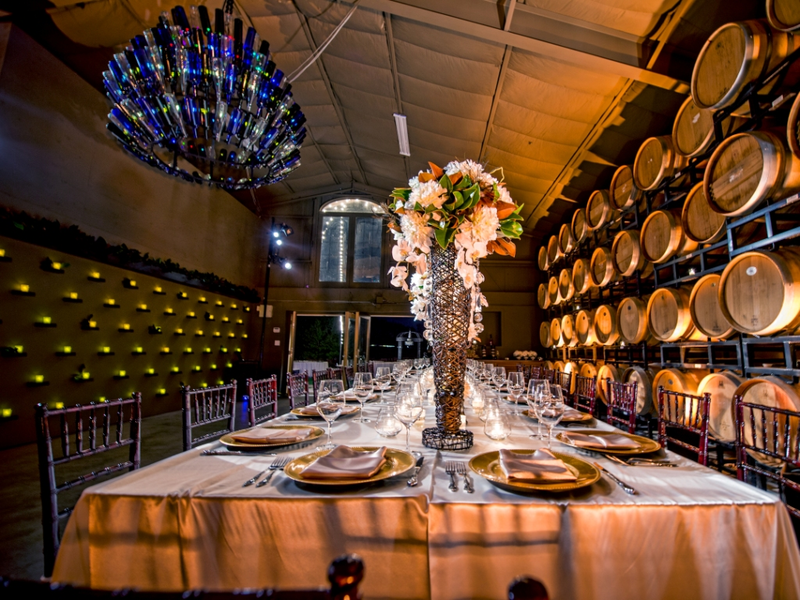 Rent Lorimar Winery | Corporate Events | Wedding Locations, Event Spaces and Party Venues. Lorimar Vineyards and Winery is made up of two distinctive offerings: the new Vineyard Lawn and the Barrel Room & Ceremony Lawn. A brand new 8,000 square foot wedding lawn and reception space nestled within the vineyards, with viognier vines to the east and cabernet vines to the west. This private location features a stone walkway, built-in arbor and designated parking just for your event. This space works for large ceremonies, being able to accommodate up to 300 guests, and easily transforms into a breathtaking open air dining venue.